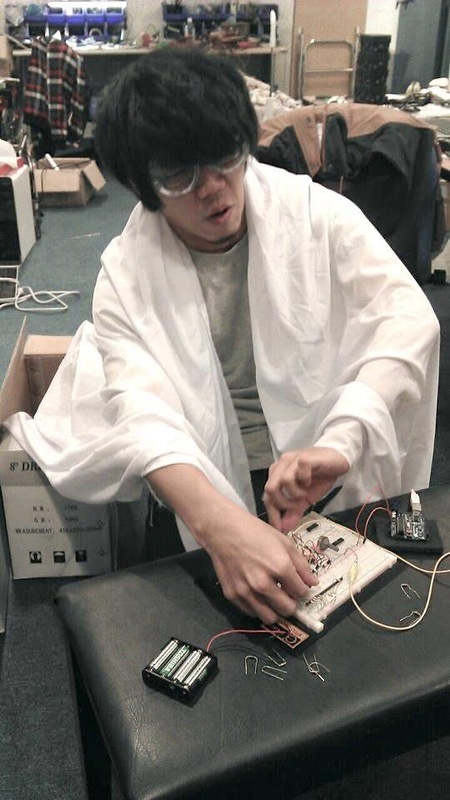 Born in Chiayi, he is currently studying sound art in National Chiao Tung University. He became acquainted with music in his high school Guitar Club, and was the band's guitarist, later, in graduate school he experimented with electronic music and formed a sound group with several seniors. Tries to depict daydreams and deja vus with handmade electronic instruments and devices.